53rd District Court Judge Theresa Brennan faces three felony counts of perjury, tampering with evidence, and acting corruptly. 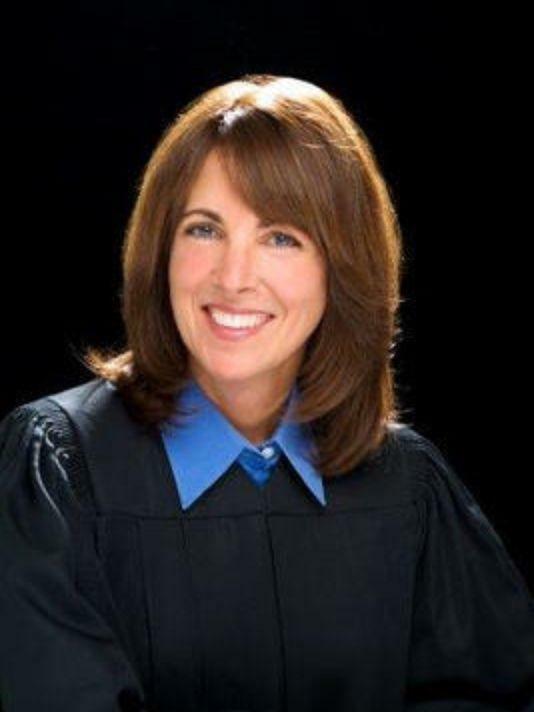 The Michigan attorney general's office has issued three felony counts against Livingston County district court Judge Theresa Brennan. The charges stem from Brennan's 2016 divorce case. At the 53rd District Court, Judge Theresa Brennan was assigned all divorce cases that didn't involve children. So, in 2016 she was assigned her own divorce case. Investigators say that rather than immediately recusing herself, she waited, and found out there was a court order for her to preserve evidence on her iPhone. She deleted the evidence, then recused herself, and later lied under oath about what she'd done. Brennan is charged with perjury, tampering with evidence and acting corruptly in office, a common law offense. There is also a complaint against her filed by the Judicial Tenure Commission for these and other acts of misconduct. The judge overseeing the recent nine-day trial in that matter hasn't yet issued his recommendations to the Michigan Supreme Court, which has the authority to remove her from office. During the trial, people testified that Brennan had failed to disclose close personal relationships with people in cases before her, that she frequently treated people in her courtroom with contempt, and that she frequently ordered court staff to perform personal errands for her, including going to her home to wait for service people and staining her office desk. After learning of the felony charges, state Senator Joe Hune, state Senator-elect Lana Theis, and state Representative Hank Vaupel, who represent residents of Livingston County, repeated their calls for Brennan to resign from office. "The good people of Livingston County should no longer be subjected to her shenanigans and frankly, criminal activity," Senator-elect Theis said in a statement. "This has gone on far too long and calls into question the decisions that were made in her court." Brennan is currently on paid leave. Her arraignment on the charges has not yet been scheduled. A hearing on a complaint against Livingston County District Judge Theresa Brennan continues later this month. The proceeding could result in a recommendation to the Michigan Supreme Court that she be removed from office. The Judicial Tenure Commission has begun a hearing on a complaint against Livingston County Judge Theresa Brennan. Brennan is accused of hiding conflicts of interest in cases before her -- ordering court staff to do personal work for her -- and treating people in her courtroom with contempt. Livingston County District Court Judge Theresa Brennan has been removed from cases until further notice. County Chief Judge Miriam Cavanaugh made the decision to reassign Brennan following the filing of a 66-page complaint against Brennan by the Michigan Judicial Tenure Commission. Troubles are mounting for a Livingston County judge accused of unethical behavior. Theresa Brennan is being investigated by the Michigan Judicial Tenure Commission for, among other things, allegedly hiding her affair with the lead investigator in a murder case over which she was presiding. A retired judge, Daniel Burress, who before his retirement was the chief judge of the Livingston County District Court, has requested a grand jury to review her behavior. She is being sued by a court administrator for harassment and retaliation.